This is the first item I've created for a homeless project requested by Silky-M.
Sims are able to sleep on it on community lots. The community lot I have in the photo is a Community Skate Park by comedy711 and is found here http://www.modthesim...ad.php?t=255955. 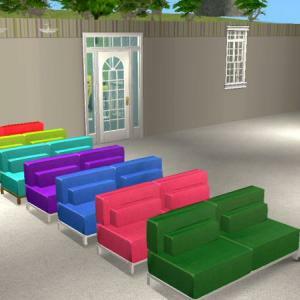 Textures are pulled from the maxis park bench and any recolor you have for that bench will work for this bench. 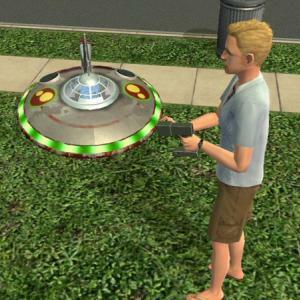 To recolor you need to recolor the original maxis version. It's found under Seating/Miscellaneous for $500. These I converted from the Castaway Stories large sized versions. Found under Misc/Child for $50 each. 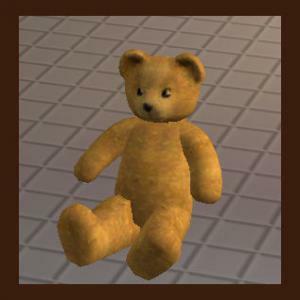 ZeroSlayer requested a teddy without clothing. This is found with other teddy bears for $49 and is playable for all ages. These were requested by Donna79858, and I have also felt this is a great idea. 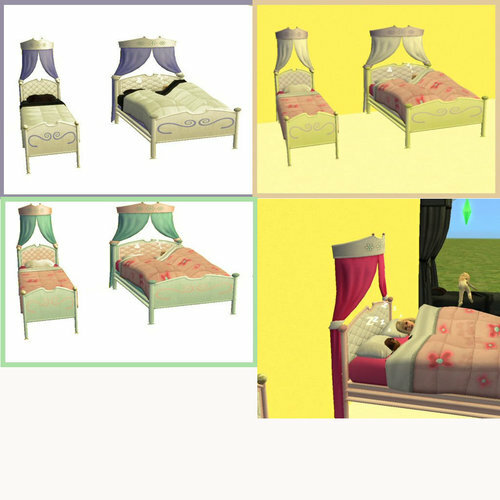 The toddler version pulls textures from the main Maxis beds and the infant version pulls textures from the Maxis crib. They are found under General/Child for $25. This highchair allows new foods to be eaten by toddlers. The new foods can be served to the regular highchair but toddlers do not actually eat them. 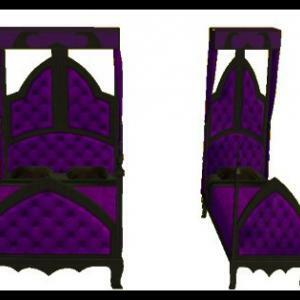 Hence the need for this highchair or my New Animated Swing. I only created one picture as there are no changes to the Maxis Highchair except in the code. I do also use the repository technique to pull textures from the regular highchair, it will also pull textures from any recolors you have for it. 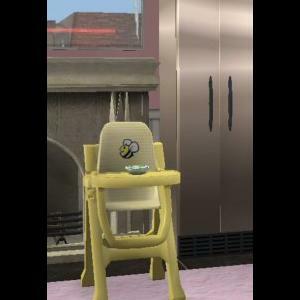 To recolor you would recolor the regular maxis highchair. This should work with the base game and the price is $50 under General/Child. Tish85 requested this a few weeks ago...thanks tish for being so patient and for the request. This is found under Electronics/Entertainment for $150. The mesh and controller file must both be placed in your download directory in order for this to work properly. Posted 04 March 2008 - 06:06 AM This is part of a Project that has been Featured! This was requested by ShanOw. Adults legs do bleed into the table when they are seated, but this can't be helped due to the design. Credits to ShanOw for the request and the great textures. Thanks, ShanOw! I hope some of you enjoy them. At the beginning of this past summer, my friend Kathy and I were sitting in her back yard. She was telling me about all the different flowers and plants, and I commented that her pond and she would make a beautiful painting. Kathy's eyes got real big and she said, "I have been wanting something to hang in my office because I don't have any windows in there!" One thing led to another and Kathy bought the canvas and paints and I spent the summer mornings going to her house and painting this landscape. God gets all the praise for giving me the ability to do this, especially because it has been many, many years since I have virtually painted anything. "Kathy's Backyard" is done in acrylic paints, the canvas is 16"x20" and it hangs in her office at work. She and her husband built the frame out of old barnwood, added a small shelf at the bottom and then draped a garland of simple greenery across it. 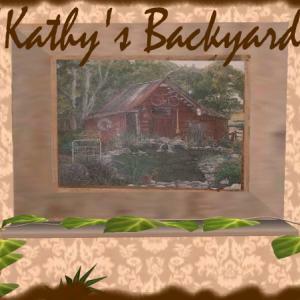 I hope all of you enjoy "Kathy's Backyard". Many, many thanks to rebecah for sharing her talents on this project she is so smart! Rebecah has even made the shelf useable, and her frame is in beautiful old, rugged barn wood just like the original. And what detail on the greenery very cool! rebecah, thank you for taking my painting and creating a frame and shelf, and for making it so we can have it in our game you're the best! want to credit Petunia for her beautiful painting, all the wording and in-game shots for this upload. I did the frame and shelf for her to enjoy. I hope some of you will also enjoy having this beautiful painting by a beautiful and very talented artist (NoRealLife2/Petunia Mae Witherbottom). Thanks, Pet! I created this for Mychelle. It is completely invisible, and won't show any flushing, or clogging. Once you place it, it will be difficult to find, there is no shadowing or any texture of any kind. 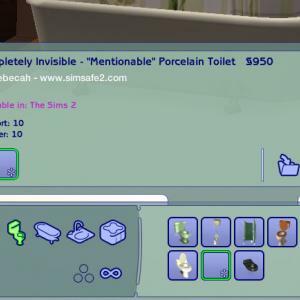 Your Sims will still be able to find it and use it. Found under plumbing/toilets for $950. I created this per a request from Nonni and with permission from Andrea. The original mesh was created by Andrea at Feenwald. Click here to go to site. You must have her mesh and any recolors you would like in your download folder as I have used the repository technique to pull the textures from her original Rustic Wall Lamp. 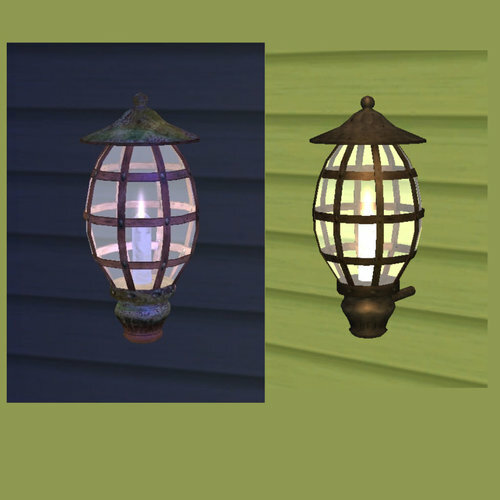 I only have images of 2 of the textures but all 4 will work and any other recolors that were created for Andrea's Lamp, to create new recolors you must recolor Andrea's Lamp. 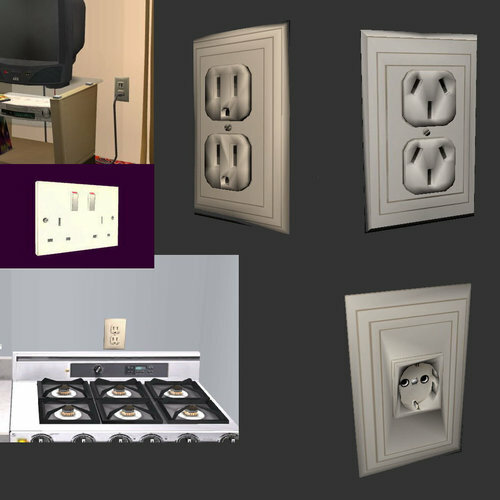 My outlet was the first mesh that I ever successfully added to the game. It was well liked, and MANY requests came in for variations of it. The result was nine decorative outlets, two having a plug and cord connected to them, from ALL corners of the globe. If you want me to make one for your corner of the world, I will provide that I have the time to. I hope you all like these. I got really sick of making them back when everyone was requesting them, but now I would enjoy having more to make. The face count for any one of these was less than 500 polys with the exception of the surge protector. That one had a little over 900 polys. These are decorative only...no interactions. If you like this download, please take time to say thanks and leave some feedback. I enjoy hearing your feedback very much! I'm back again for the moment, with a project that I started before I left for a while. These are the pedestals that I've been working on. They don't do anything special other than serving as a table for decorations to sit on, but I just feel like there are not enough pedestals for all the tabletop statues that are out there. LOL Anyway, I hope you all like these. Warning: Pedestal 1 of this collection is super high face count. It has more faces than all three of the others combined. 2033 faces! I thought it was cool so I left it with this collection. It caused no slow down in my game but may cause slow down in older computers. Face counts for the other three are 549, 228, and 522. If you all like these uploads, feel free to leave a comment. 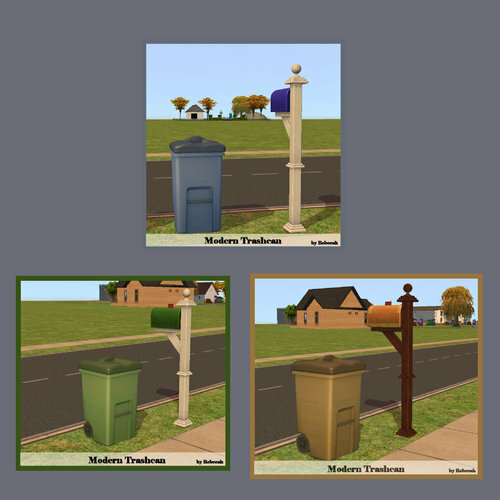 Please review my policy on uploading and recoloring of my objects if you intend to recolor these or upload these at another site. My corn soup is posted with my animated swing the link is as follows: http://www.modthesim...ad.php?t=258658. 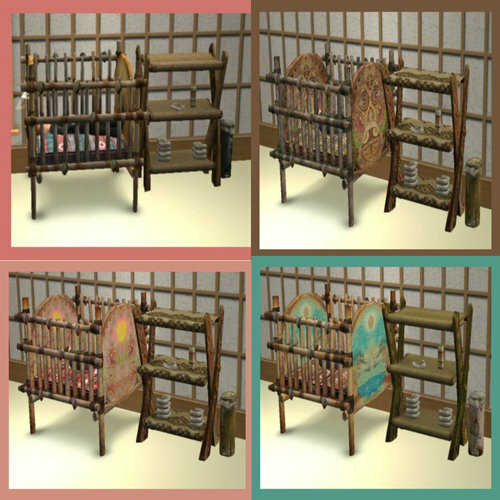 I use the repository technique to pull texture from the maxis crib, it will also pull textures from any recolors you have for it. 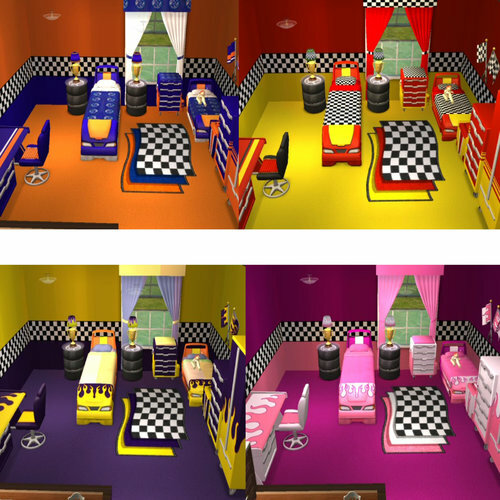 To recolor, you would recolor the regular maxis crib. Found under Misc/Child for $49. Head and Face texture is separate from the body section texture, this gives you more recolor option except you want to keep the skin colors of the face the same as the body. Most of my recolors use the light skin, 1 uses the dark skin. All mesh parts are by Maxis as are most of the textures. I may add more recolors later. This is my first Hair mesh and hair recolors and maybe my last hair meshing is not easy to do at all. I think the only thing I've found to be harder is the custom sound. I realize the mesh isn't anything spectacular but I wanted the doll and toddlers to have matching hair. I actually only reshaped the EA shorter version. Be sure to watch the video, the singing is by my 3-year-old grandson, you may not think it's as adorable, as I do but I could not resist adding it. I have tested the hair and dolls with the base game only installed and they work perfectly. 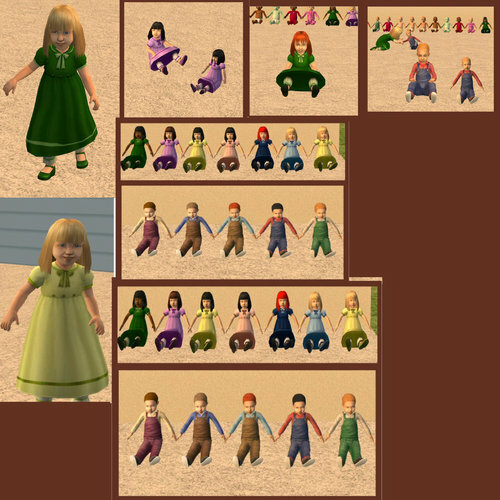 All recolors are included with each mesh file, except the toddler dress recolors - these do require Free Time *just the dress recolors. I hope some of you enjoy it as much as I enjoyed creating it. This was requested by Lily Whyte and Oph3lil. I tried to use the repository technique for this but wasn't able to figure out how to get the fabric slave subset to pull textures. I do use the repository technique to pull the bedding. I've also created bedding recolors to match the frames and a teal recolor for both beds and bedding. Same as double bed sorry I don't have the count right now. I also include several recolors. I've morphed the pillow and seat section for whichever side the sims happens to sit on. Toddlers have to crawl under the table to get in the chair. The animations are not perfect but I think it is kinda cute. It is cloned from the high chair and will satisfy the want for a high chair (thanks to Wanda1000 for testing and Integrity verifying that for me). Toddlers will learn cooking skills while eating, they can only eat until they are full (thanks to Smithycpl for his testing and suggesting that I set it to stop when they are full). Toddlers will also use it autonomously if their hunger is 90% or less. They also gain fun, hunger, and social. This is all one item and fits on one tile. It's found under General/Child. I've also included a recolor in white weathered wood. Works for boys and girls! Thanks to Smithycpl, Wanda1000, and Integrity for testing and for their suggestions to help me create a better item. Imageswith two tableware by chicagobearjoeyp done by using the moveobjectson true and boolpropsnapobjectstogrid, to place 2 tables together. Posted 14 February 2008 - 05:07 PM I created this end table per request by Lily Whyte. It will require Pets EP because I pull the textures from the maxis zip zap coffee table. 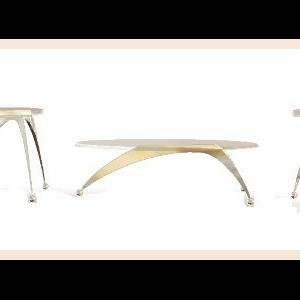 If you have recolors of the coffee table they will also automatically work with these end tables. Posted 10 October 2008 - 09:05 AM It's been a while since I've posted anything new...sorry. I just don't seem to have very much free time anymore...hopefully this winter I'll get back into the swing of things. I found a request for these items on Insimenator and thought I'd share them here. I used the repository technique to pull the textures from the season's items. Now I'm not sure if people will have to have seasons for sure or if they can just use the items from the ea site. The changing table is a one tile changing table and the bed works like my other toddler beds. Toddlers will change into their pj's when going to bed on their own and change back to everyday clothing when they wake up and get up on their own. Posted 24 March 2008 - 11:18 PM This was requested by JohnnyB at www.insimenator.net. 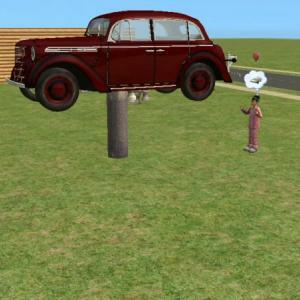 it,the car can not be driven, or used for anything except display. This ramp was requested by Sunni9676. It is found under Misc/Misc for $1. To move it around you have to catch it towards the bottom center. Cars are a little hard to place, you have to kind of put the car directly underneath until it takes on the angle. The back of the car needs to be near the bottom portion of the ramp. This was sort of requested by SimFan432. Jump on Bed is set to non autonomous and I made the bed useable by toddlers. I used the repository technique to pull textures I wasn't able to get the slave subset to pull with this version so I just used the frame for the brass portion of the original bed.